Paparazzi Free, Leaked Free… what does it means? ‘Paparazzi Free, Stalkerazzi Free, Leaked Free‘, what does it means? 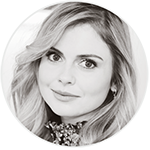 It has been nearly a year since ‘Rose McIver Source‘ has changed its mode of operation to respect as much as e can Rose‘s privacy. I have also received messages asking me what does ‘Paparazzi Free’ means, so I think this is the good time to explain it again. All of you know that we are a site dedicated to Rose‘s fans, we aim to bring you all the news, infos, photos, videos, screencaptures and much more about her. But we decided to do this in a new way. A lot of fansite right now, have decided to use the same method as us; only post pictures, information, videos (…) of our favorite celebrities without reaching their privacy. For us, this means that no gossip related news or photos of Rose in her personal life will be posted AND that can be found online (like, not leaked photos, photoshoot, videos…). For those who may ask the question, yes of course, some pictures can be found on official sites, but we do not wish to share photos that are often taken without the approval of actors. That’s why for some photos, we are only private collectors. Comments to Paparazzi Free, Leaked Free… what does it means?